Picture this: Oprah Winfrey is donning pajamas and handing out shots of tequila, as passengers taking part in Holland America Line’s Girls’ Getaway cruise go wild with excitement at the sight of the popular talk show host, film star and founder of O, The Oprah Magazine. While the prominent Godmother of Nieuw Statendam, who officially named the ship earlier this month, likely won’t be cruising along with clients on upcoming trips, rest assured they will still be entertained. Along with the Experience World Stage, the ship’s Music Walk features four live music venues including Lincoln Center Stage: chamber music in partnership with the leading centre for the performing arts; Billboard Onboard: chart-topping hits covered by two pianists based on audience requests; B.B. King’s Blues Club, an eight-piece band performing music inspired by the scene in Memphis, and Rolling Stone Rock Room, a new classic rock show developed in partnership with Rolling Stone, featuring five musicians playing iconic hits by famous rock stars. Describing Music Walk as an enormous operation and undertaking with 20 super high-calibre professional musicians across four different venues onboard, Prince says the team auditions the world for Lincoln Center Stage, and across North America for B.B. King’s Blues Club and Rolling Stone Rock Room. “The concept has been so popular and people love it so much that we want to get as much of it as we can throughout as much of the fleet as we can, so we’re working our way backwards to our older ships to add these clubs over the next couple of years,” he says. Replacing the Culinary Arts Center, Nieuw Statendam has introduced the Club Orange restaurant for all guests staying in the Neptune and Pinnacle suites. In addition to private dining (including free mimosas for breakfast), the new program includes added perks like priority check-in, premium bathrobes and a welcome glass of sparkling wine at dinner on embarkation day. Workout indoors or outdoors with a running track and gym equipment with a view on the Nieuw Statendam. 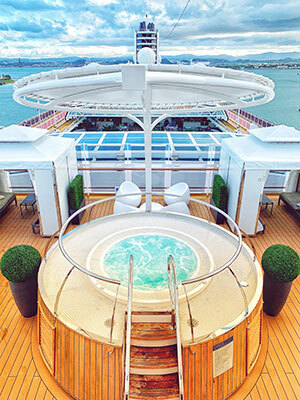 Unwind onboard with a choice of multiple whirlpools! Club Orange can also be added-on for clients staying in other room categories at a commissionable rate of $50 per day. The program is set to go fleetwide later this year. Meanwhile, America’s Test Kitchen, formerly housed in the Culinary Arts Center, is now serving up its cooking demonstrations, videos, techniques and recipes on the main stage. Beyond the main dining room, specialty restaurants range from Rudi’s Sel de Mer, first launched on Koningsdam as Sel de Mer, named after master chef Rudi Sodamin, a French-inspired seafood brasserie, to Canaletto, an Italian restaurant offering fresh pasta and other favourites. There’s also the pan-Asian Tamarind, which has a new al fresco dining area and Nami Sushi, a new sushi experience within Tamarind, along with the award-winning Pinnacle Grill. The Lido Market has market-style stations offering everything from salads to Asian dishes. There are also options to grab everything from poolside loaded hot dogs and New York-style pizza to a café serving up Dutch specialties. Another innovation is the ability to summon bar staff with the press of a button at the Lido market and pool, designed so guests don’t feel over-served by waiters inquiring about whether or not they require any beverages. The ship, the 15th in the fleet, features purpose-built staterooms for families and solo travellers among its 1,377 guest accommodations, 40 of which are wheelchair accessible. In total, there are eight more staterooms than the sister-ship Koningsdam, and Nieuw Statendam’s 1,290-square-foot Pinnacle Suite was reconfigured to offer an open-concept design with the living room and dining area in one expansive space, complete with a dressing room and private veranda with whirlpool. 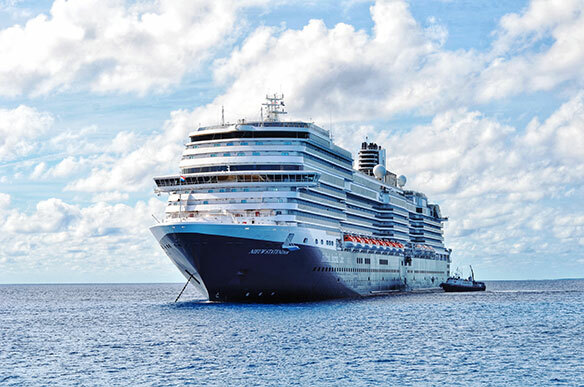 Following its inaugural Caribbean season, the 2,666-guest Nieuw Statendam will head to its summer homeport of Amsterdam, the Netherlands, in May and sail a series of northern Europe, Baltic and Iceland cruises before making its way to the Mediterranean in September for cruises out of Civitavecchia. Visit gohal.com to access the Holland America Line Academy for training courses for travel agents, online resources, news, webinars, and FAM opportunities. 1. Nieuw Statendam will visit more than 75 ports during her first year in service. 2. In its first year, Nieuw Statendam will sail 92,723 nautical miles, more than four times around the globe. 3. Artists from 150 different countries are represented in Nieuw Statendam’s artwork. 4. More than 150 bottles of red wine will be made each month at BLEND, the first purpose-built wine blending venue at sea. 5. At 975 feet in length, Nieuw Statendam is as long as 12 blue whales. 6. Two hundred pounds of pasta will be prepared at Canaletto during a seven-day cruise. 7. 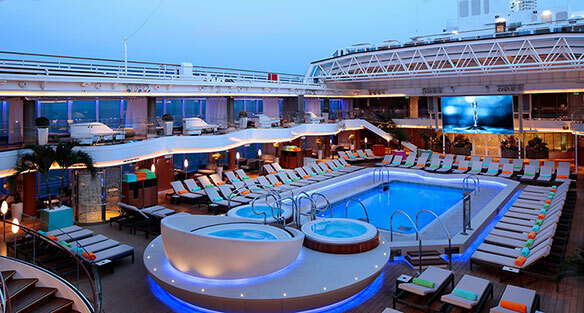 It would take 70,667 standard bottles of champagne to fill Nieuw Statendam’s Lido Pool. 8. On a week-long voyage, 9,331 towel animals will be created. 9. 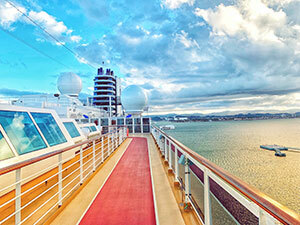 There are 1,920 works of art on board. 10. On a seven-day cruise, 4,200 cups of coffee will be served. 11. More than 9,360 songs will be performed in Rolling Stone Rock Room during the first year. 12. During a seven-day cruise, 3,000 burgers will be served at Dive-In. 13. Seventy performers will grace the stages of Music Walk during the first year. 14. Eighteen different flavours of gelato will be made on board each cruise. 15. Grand Dutch Café will serve 1,250 beers on a seven-day cruise. 16. New York Deli & Pizza will serve up 350 breakfast sandwiches on a week-long cruise. 17. Nieuw Statendam is a sister-ship to Koningsdam, which was delivered in April 2016. 18. A third Pinnacle-class ship will be delivered in 2021.